A fun-focused five reel, three row slot with 25 paylines, brought to you by Pragmatic Play. This is a lively slot game with a Mexican fiesta theme, offering two of the developer’s trademark bonus features and an RTP of 96.52%. One of the best places to play it is right here at UK Slot Games, where you can also play over 600 slot games, including ‘Starburst’, ‘Rainbow Riches’, ‘Fluffy Favourites’ and ‘Bonanza’. Put on your best sombrero, find an acoustic guitar, grab a bowl of nachos for the table and line up a few tequilas; but as well of that, get ready to experience some sweet, hot chilli. 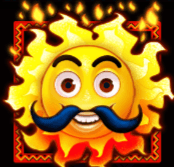 Chilli Heat from Pragmatic Play is ticking off every Mexican stereotype it can find to bring you this entertaining and highly playable online slot set in the Land of Enchantment! Whenever slot games go with national themes, they always go over the top with it just so you’re absolutely sure what the game’s intended to be. There are online slots out there to suit every theme and occasion; whether that’s the brooding atmosphere of a horror slot, the quiet and tranquility of a good nature themed slot game, or something with more of a tongue-in-cheek humorous style, every gamer should be able to find something that appeals to them. Chilli Heat definitely belongs to the humour category. There’s a Mexican town (or possibly a restaurant?) in the background, along with a cactus plant to drive the message home, and the sounds of a mariachi band to keep the atmosphere going as you play. You’ll hear more than a few castanets and trumpets when you find winning lines, as if there was a fiesta happening in your honour; it’s like the game’s genuinely happy for you when you win, and it’s bound to bring a smile to your face! The five reels and three rows of the game are set on a gold patterned frame; whereas the symbols have all been adjusted to make sure they match the subject matter, too. The cards J through to A represent the lower values, although they look suspiciously like nachos, and the higher value symbols are a tequila with lime (no sign of salt, though. You have to have salt with tequila! ), a bottle of chilli sauce, a happy looking chihuahua with an adorable little red scarf, and a mariachi player complete with sombrero and guitar. Ranking above those symbols is the logo of the game, which is a wild and will replace any other symbol other than the sun and the money bag, which come into play for the bonus rounds. On the topic of the bonus rounds, let’s talk about what the game has to offer. Online slots that focus on fun and frivolity rather than multiple layers of depth tend not to have a wide range of bonus features; it suits the atmosphere of the game better if things are kept basic and understandable. Pragmatic Play have something of a formula when it comes to making their simpler games, and they’ve used them again here. 1. Free Spins: Free spins are on offer; the game was released in early 2018 and you’d expect free spins as a minimum from any slot game that’s released in the modern gaming era. You can trigger the free spins bonus by landing three sun scatters anywhere on the second, third or fourth reels. That grants you eight free spins. That may not sound like enough, but the game removes the lower value symbols (the ones represented by cards) from the reels for the duration of the free spins, making winning combinations much easier to find. Also, if you land more sun symbols in the right places, the free spins will re-trigger indefinitely. 2. Money Respin: Money Respin is a feature that’s common to a few of the Pragmatic Play slots, and it’s become something of a calling card for them. It’s a bonus feature that offers players potential access to much higher jackpots. You’ll need to land six or more of the money bag bonus symbols anywhere on the reels to trigger it (your chances of this are hugely boosted in ‘free spins’ mode), and when you do that, the bags will freeze in place. You now have three free spins, and every time you find another bag, that too freezes in place and awards you another free spin. The bonus mode will end one of two ways. In the first instance, you may run out of free spins without filling the reels with money bag symbols. In this event, the values indicated on the bags will be totalled up and awarded to you as a win. In the second instance, you’ll fill every space on the reels with money bag symbols, and that will earn you the Grande Jackpot; that can be up to 1000 x your original stake. The Mini and Major jackpots, which are smaller but still worth chasing, can be one using the amounts printed on the money bags during normal play. A quick look at the gaming portfolio of Pragmatic Play, who were founded in 2007, tells you that they’re a design company with a theme; all of their games have a definite visual feel to them, and many of them use the old West as a setting. They have over 100 games on their roster, the highlights of which include Wolf Gold, Great Rhino, Gold Rush, da Vinci’s Treasure, Madame Destiny, Peking Luck and, of course, Chilli Heat. How developers feel about their own games is often evidenced by whether they feature them prominently on their own homepage, or whether they’re hidden behind ‘all games’ links or other areas away from that homepage. That’s not to say they’re not proud of all their games; just that as with all things, they’ll be happier with some than others, and feature them more heavily. Chilli Heat is on Pragmatic Play’s homepage, and so it’s safe to say the developer is pleased with their creation. “The reels are hot in Chilli Heat™, the 3x5 video slot. The fiesta starts with stacked Wild symbols and heats up in Free Spins where only high value symbols are present. 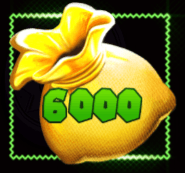 We’re not convinced that those symbols are piñatas rather than money bags, but you can play the game right here at ukslotgames.com and decide for yourself! Pragmatic Play have quite an extensive and varied roster of games. They cover a number of themes, and seem to base their slot games around animals more often than they don’t. Also, with Chilli Heat only having been released in 2018, they haven’t yet had opportunity to look at the possibility of sequels or additional slots based around the same theme. As such, there isn’t really a sister game to Chilli Heat on the Pragmatic Play roster; or at least, not a game that’s set in Mexico. That’s not to say that they haven’t given the Chilli Heat treatment to some of the world’s other major cultures and countries, though. In much the same way that Chilli Heat offers up the well known symbols of Mexico in order to decorate its reels, and backs them up with a soundtrack of Mexican music, Ancient Egypt takes from the Land of Pharaohs and dresses itself accordingly. That means Egyptian music in the background, and the Eye of Horus, the Ankh, the face of Cleopatra and several other icons of Egyptian legend appear on the reels. This is a more simple game than Chilli Heat, offering only one bonus feature, but it’s one that allows you to choose one of three potential prizes, and the free spins can be highly lucrative. RTP is 96.13%, and the top prize is 500 times your stake. Having covered off Mexico and Egypt, this game takes us into the rich cultural history of China. It’s a standard five reel, three row slot with an RTP of 96.5% and an interesting bonus rounds; the free spins have to be activated as the only bonus feature available on the reels, and once you’ve done that, you have to choose from a number of symbols to decide how many free spins you’ll receive, and what multiplier will apply to them. The maximum is 38 free spins with an 18x multiplier. On the reels are many traditional Chinese musical instruments, dragons, a beautiful dancing girl, and a terrifying mask! This is a very similar game to Ancient Egypt in everything but the graphics. Although Pragmatic Play themselves don’t have any other games set in Mexico, that isn’t to say other developers haven’t put their own take on it. Slot games with a party atmosphere tend to perform well with players, and nothing says ‘party atmosphere’ like a good fiesta! These games aren’t necessarily copies of Chilli Heat; they may even have been released before Chilli Heat was; but they draw inspiration from the same place. Online slot developers go heavy with the association between Mexico, chilli, and making popular slot games! This game from Lightning Box uses symbols that are almost identical to Chilli Heat, albeit drawn in a more cartoonish style. It has an expansive play board of five reels and four rows, which means there are 40 paylines, along with a Gamble feature, free spins and a jackpot game. This is a fun slot which definitely competes with Chilli Heat on quality; it all comes down to player preference. The extra row might make things too complex to stay on top of for some players. RTP here is 95%. The name of this online slot translates to ‘mariachi skeleton’, which should be enough to tell you that it’s taken its inspiration from the famous Mexican “day of the dead”. Because of that, reels resemble what Chilli Heat may look like if the cheery mariachi player died! There are still tequila bottles and sombreros everywhere you look in this Red Tiger Gaming slot, but it does feel a little morbid to play if you come to it straight from Chilli Heat. There are five reels, four rows, 40 paylines and an RTP of 96.06%, as well as an innovative bonus round where musical instruments will play at random and award various prizes, like extra wilds. It’s definitely fun, but much, much more complex than Chilli Heat. Elk Studios take us to the Mexico of the 19th century, where apparently an evil captain has come to town to steal everyone's tacos, and only the Taco Brothers can save them; with your assistance of course. There are 243 ways to win on this well animated, story-based slot, which offers an RTP of 96.30%. As with all Mexican games it seems, there’s tequila and guitars across the reels, and a desert full of cactus in the background. Surprisingly for an ultra-modern, video-game inspired slot, there are only two bonuses. If you like games with a story, you’ll love this. If you don’t, it might not be for you. You would expect that a game that was not only released within the last couple of years, but released by a company that openly prides itself on designing online slots that are perfectly functional on smartphones, would appear flawless on a smartphone. And of course it does. Nothing of the game is lost at all; the Mexican themed background, the atmospheric soundtrack and the clean sharp reels are all here, just as they are on the desktop version. As we’ve noticed on a couple of other Pragmatic Play slot games that have been adapted for mobile, it actually displays slightly better when your mobile is held in portrait mode than in landscape. You get a better view of the background (which conclusively proves it is a town, and not a restaurant), and the playing area feels more spacious. When they say that they focus on a ‘mobile first’ philosophy, we think they may mean that they develop it with the idea that this how most people play mobile slots, instead of tilting their phone sideways. We can’t speak positively enough about the mobile version of Chilli Heat. This is the standard that all developers should aspire to when they’re trying to make their games workable for mobile gamers. It might even be better than playing it on a desktop. Pragmatic Play say that their philosophy is ‘mobile first’ when they’re designing new games. Based on this evidence, they’re right. Pragmatic Play are a big deal in the gaming world; if you’ve read this whole review down to here, you’ll already know that! When they release a new title onto the market, it tends to get attention. The gaming press are always keen to give their opinion on new products, and given the success that this particular developer have had in recent times, expectation of what they have to offer is always high. Casinopedia; which is an independent rating and resource website for the entire gaming industry; took note of Chilli Heat when it was first released. They found it to be full of fun, and noted that although it doesn’t pay out the biggest total jackpot in the world, it does pay out quite regularly, which makes up for it. Also, they agree with us that those symbols are definitely money bags and not piñatas! Online Casino Reports, who provide a similar service to Casinopedia (you could probably describe them as rivals! ), also took the time to review Chilli Heat when it came out. We feel we should point out that not every new slot game gets this treatment when it’s released; new titles are released almost every day, and many of them go almost unnoticed. It’s a measure of Pragmatic Play’s profile that so many people are paying attention. In the Online Casino Reports review, they describe the game as ‘a perfusion of colours and good times’, as well as predicting that it would attract plenty of interest. We can’t say we disagree with either of those findings; almost a year down the line, it’s proven to be very popular with gamers indeed. Why Is UK Slot Games The Best Place To Play Chilli Heat? If you’ve read all the way through to the end of this review, you’re probably in one of two moods. Some of you have probably never been more hungry, and are either trying to find a booking in a local Mexican restaurant, or trying to work out where the nearest Mexican restaurant to your home is. The rest of you should hopefully be well informed on Chilli Heat, and ready to take the plunge and give the reels a spin. If you’re on the fence, we don’t think there’s anything wrong with doing both! One of the joys of playing online slots from home is that you can play and eat at the same time! If you are going to play Chilli Heat, we’d love nothing more than for you to stay right here and play it on ukslotgames.com. Secondly, we don’t force you to deposit money when you first sign up. Everybody is welcome to make an account, and you can then browse our entire catalog to find a game you really want to play before you hand over any money. Chilli Heat is a fine place to start, but there’s no reason to stop there! In fact, we do the opposite of forcing you to hand over money. When you sign up, you could win up to 500 free spins on our games just for doing so!